"The Lancastrian Suite offers a range of modern and traditional suites to cater for every kind of corporate, social or private event." All reviews are the subjective opinions of third parties and not of the website or its owners. Reviews are placed by members of the public that have held a function or event at Lancastrian Conferencing Suite (Federation Brewery). 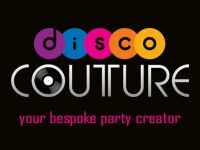 At needadisco.com we only accept reviews from confirmed clients that have booked a DJ to play at Lancastrian Conferencing Suite (Federation Brewery) via our website, with the arrangements independently verified by both the DJ and the client before the event takes place - no "fake reviews" here! Helpful information for DJs and entertainers visiting Lancastrian Conferencing Suite (Federation Brewery) provided by trusted members of needadisco.com. PARKING: Loads of parking around three sides of the building. Easily able to cope with 50+ vehicles. ACCESS: Park next to the loading doors to the right side of the building, go through a set of double doors and the stage is about 20 metres forward towards the back of the room. FACILITIES: Very high and wide stage. You can easily fit a disco rig, a couple of bands and a circus tent up there! Huge stage. 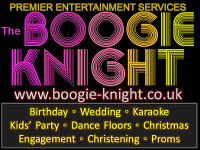 STAFF: Friendly, helpful and very polite. Kept us fed and watered all night. They even re-booted the internet router for us when we were having problems. Very helpful indeed. ADDITIONAL COMMENTS: "This is an extremely large venue suitable for Boxing / MMA events / high end Wedding Receptions / corporate events / etc. Can accommodate around 500 guests and has a huge stage. Take plenty of equipment, you'll need it!" Information is based on enquiries and bookings handled via needadisco.com so whilst it's a great insight, if you have any questions or concerns about holding a function or event at Lancastrian Conferencing Suite (Federation Brewery) please contact the venue. Lancastrian Conferencing Suite (Federation Brewery) has previously been hired as a venue for private parties such as birthday celebrations, anniversaries, engagements etc. 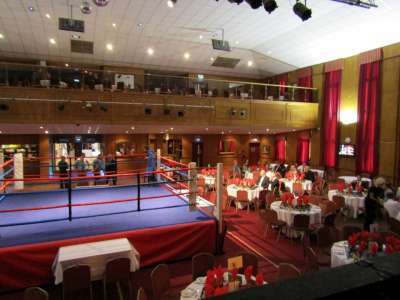 Lancastrian Conferencing Suite (Federation Brewery) has previously been hired as a venue for functions and events such as sports club social evenings, masonic events etc. Lancastrian Conferencing Suite (Federation Brewery) has previously been hired as a venue for corporate events such as works parties, product launches, prizegivings etc. Lancastrian Conferencing Suite (Federation Brewery) is in our Conference Venue category. The map below shows other local venues in the same category.